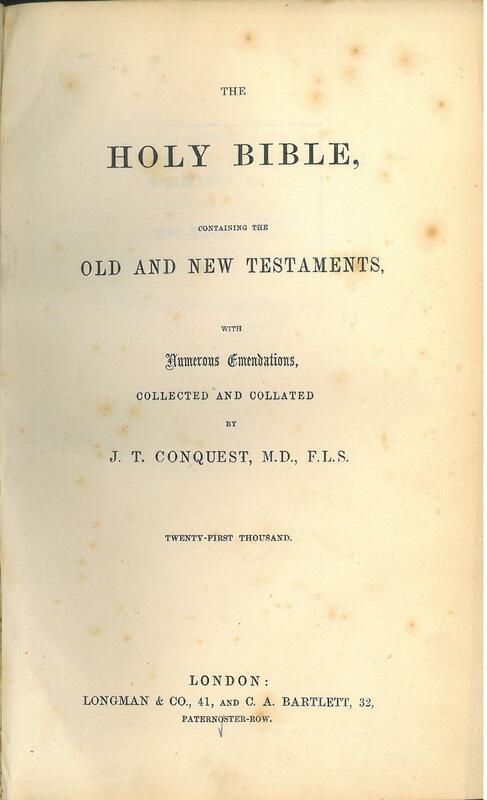 Click here for sample verses from the version by John Conquest. 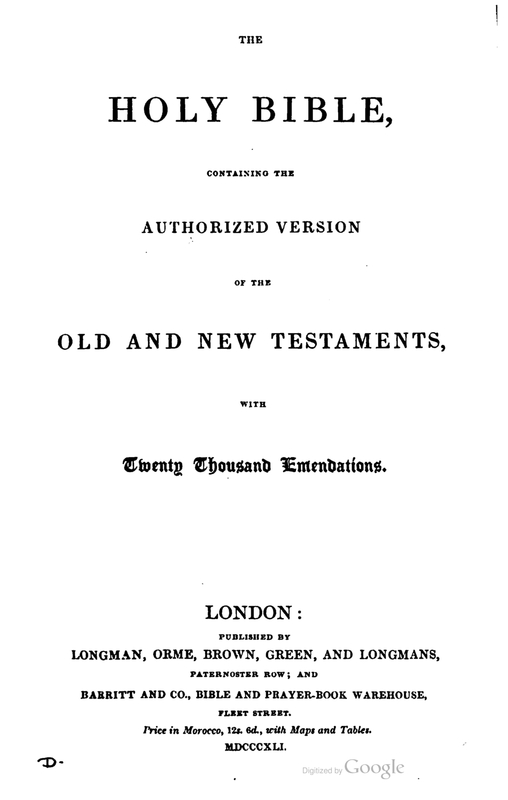 Title: The Holy Bible, Containing the Authorized Version of the Old and New Testaments, with Twenty Thousand Emendations. References: Herbert 1838, Chamberlin 22-1, Taliaferro CN00216, Taliaferro-EELBV 7345. 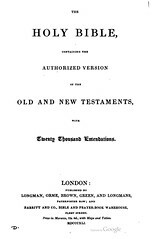 Title: The Holy Bible, Containing the Old and New Testaments, with Numerous Emendations Collected and Collated by J.T. Conquest, M.D., F.L.S. Twenty-first Thousand. References: Herbert see 1838, Chamberlin 22-1, Taliaferro CN00216, Taliaferro-EELBV 7345.